Our experienced team can manage large or small events. A lot of time and effort is put into making an event a success, so an accurate representation of the event is essential either with photography, videography or both. The OD Media team places emphasis on capturing branding, décor and formalities, as well as key moments that will be used on social media and company newsletters either immediately after the event or in the future. This allows you, as our client, to showcase your event to future sponsors, members of the public, clients or staff. Our experienced team can manage large or small events and help guide you through the planning stages thereby ensuring a successful event every time. We have had the privilege of working with many different clients and a variety of situations. Here is some of their feedback on our services. Thank you Wade and Kelly for capturing all the crazy moments. You guys are absolute stars! We love the sneak peek – I can’t wait to see rest. Great work! Love the professionalism and the chilled nature of you guys – such a pleasure to work with and it shows in your work! It was an absolute pleasure working with you! The images you’ve shared with us are amazing, head and shoulders above the quality of images we have received in the past. Thank you for your service and enthusiasm, it is truly appreciated. All we can say is WOW!!! The album looks absolutely breath-taking, Fareeya and I really appreciate all the hard work and hours put into it. Especially dealing with us and our demands as well as all the finer detail involved. We have just had a look at it and we are absolutely amazed at how nice it came out. Fareeya even had her wedding day smile return. We are so grateful that it came out better than we ever imagined. Oh my word!!!! We are speechless! What a beautiful and amazing highlights video!! You guys are phenomenal!! Thanks so much again - it's such a beautiful video and cannot wait to see the whole video! Just a very big thank you for your efforts in ensuring that the Nhlambanyati Bridge submission was such a success. I knew we would get some form of recognition from the adjudicators, but I didn’t expect winning the entire event! Well done to you and your team. Well done on an amazing show. Love it, great shots and edits. Kelly, the photos are absolutely amazing! Thank you so very much! It was so much fun! Thank you again! No one can believe we took 3 dogs to your studio! Just a quick note to thank you both very much for everything you did to make my grandmother’s birthday so special. The video was an absolute hit, and the photographs arrived today and are just so lovely! THANK YOU! I would like to thank your photographers and videographer for the excellent service on Saturday evening. Everything went really well. Why is a video of my corporate event important? If you are planning to have a similar event in future, a video is important for social media sharing, marketing and funding. People want to see what the event is about prior to attending or sponsoring the event. What will you cover at my event? We always ask our clients for a brief of what they want covered at the event. We also suggest the videographer covers the following: décor before guests arrive, branding, guests arriving and socializing, speeches and formalities, as well as impromptu moments. Is it necessary for the videographer to stay until the end of the event? Once the videographer has captured the client’s brief, it is not necessary for the them to stay any longer. What if the event is in Johannesburg or Cape Town? 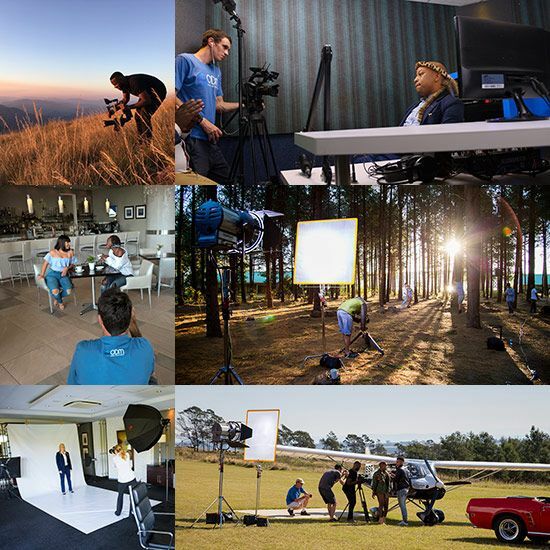 Event Videography Durban does not mean that we only cover local events. We cover events countrywide, distance is not a problem. How will I receive the video? Your video will be edited and put on a USB for you to collect from our office. We can also courier the USB of images to you or uploaded to Dropbox/WeTransfer.